﻿ Marina Mandarin Singapore Hotel (Marina Bay) | FROM $162 - SAVE ON AGODA! "Breakfast, amenities, fitness center, ok semua"
"Customer service team gave mum a surprise and presented her with a handwritten card and fruits platter to celebrate her birthday." "All in all--> Location checked!" "Nice value, nice ambience, and when u bring kids it surely n..."
Experience true luxury and outstanding service at the Marina Mandarin Singapore Hotel. Rated 5 stars, this hotel is great for experiencing a truly lavish vacation. With harbor and city views available, it offers beautiful scenery. It is near Barang Barang, Love Sg, Rising Pheonix Drum Tao, MJ Multimedia, and CityLink Mall. From a bar to a halal restaurant, the Marina Mandarin Singapore Hotel features a range of dining and snacking choices. This hotel offers various facilities for guests to enjoy, such as a fitness center, a spa, a hot tub, an outdoor swimming pool, and a sauna. With tours available, it is the perfect place to stay to learn about your surroundings and see everything you can while you're here. It has several convenient features, such as an infirmary, safety deposit boxes, a currency exchange, a laundromat, and a salon. 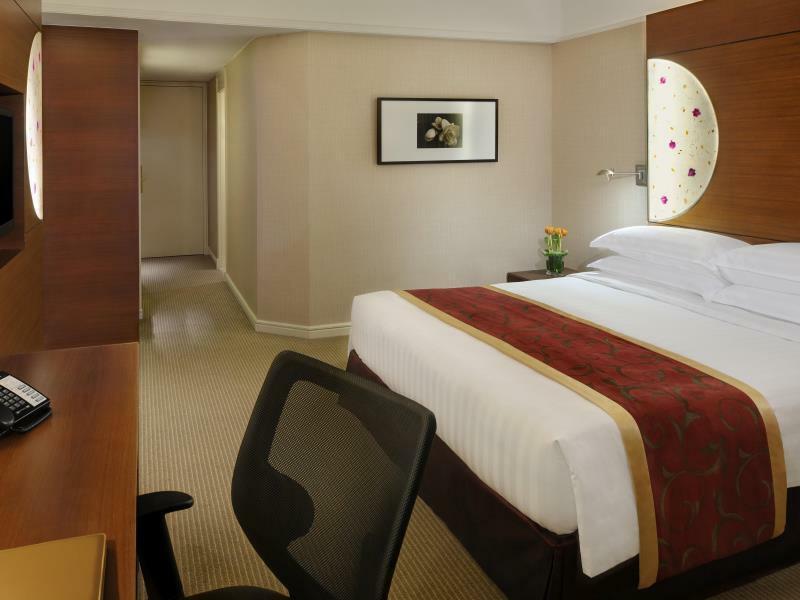 This Singapore hotel offers family rooms, giving you space to spend time together during your stay. It has a kids club, offering parents a secure childcare option to keep their children entertained. From a concierge to dry cleaning services, the Marina Mandarin Singapore Hotel has various useful services for guests to utilize. There's free Wi-Fi available in all rooms, as well as Wi-Fi in common areas, ensuring that you are always able to stay in contact with your loved ones back home without splurging on foreign data charges. This Singapore hotel features a front desk that's open around the clock, so there is always someone around to answer any questions. With pet-friendly facilities, it is ideal for guests who want to bring their pets on holiday with them. 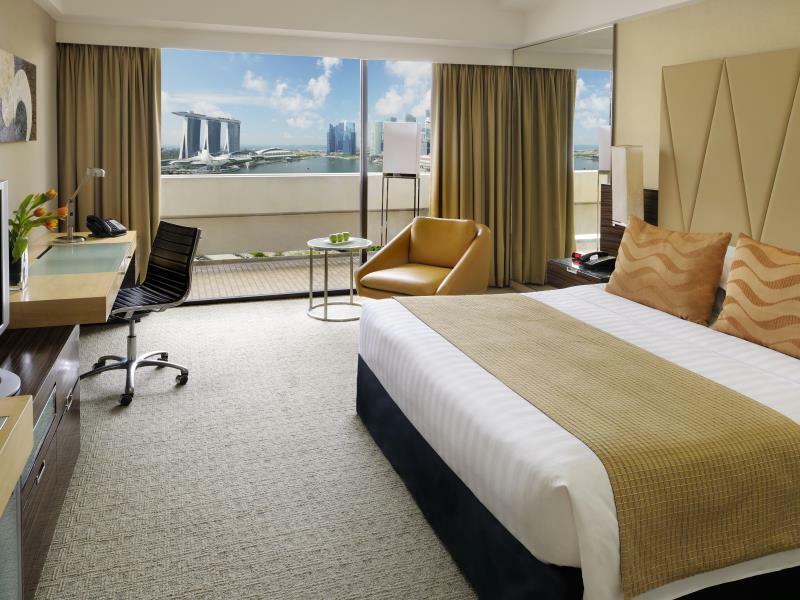 The Marina Mandarin Singapore Hotel offers an express check in and check out service, giving you the option to avoid the frustration of waiting in long queues when preparing to catch your flight. 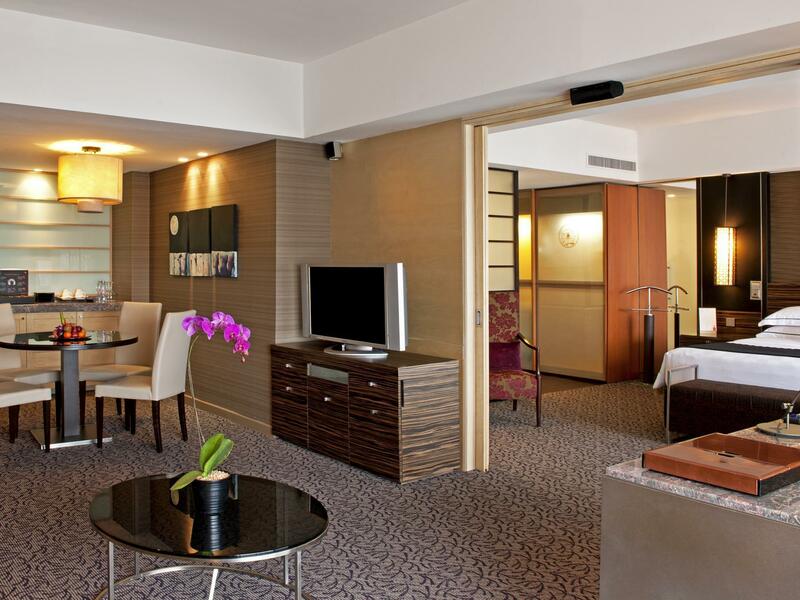 This Singapore hotel provides an assortment of transport options, such as airport transfers and car rentals. Esplanade MRT Station is 370 m away and Promenade MRT Station is 440 m away. The nearest airports are Changi International Airport (SIN)-Singapore and Hang Nadim Airport (BTH)-Indonesia, which are located 16.4 km and 33.7 km away. 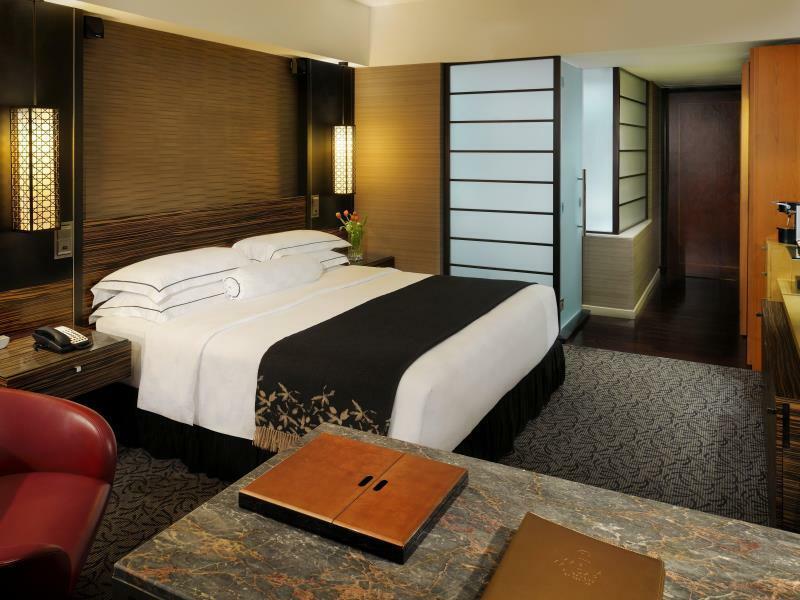 The Marina Mandarin Singapore Hotel offers check-in from 02:00 PM and check-out until 12:00 PM. 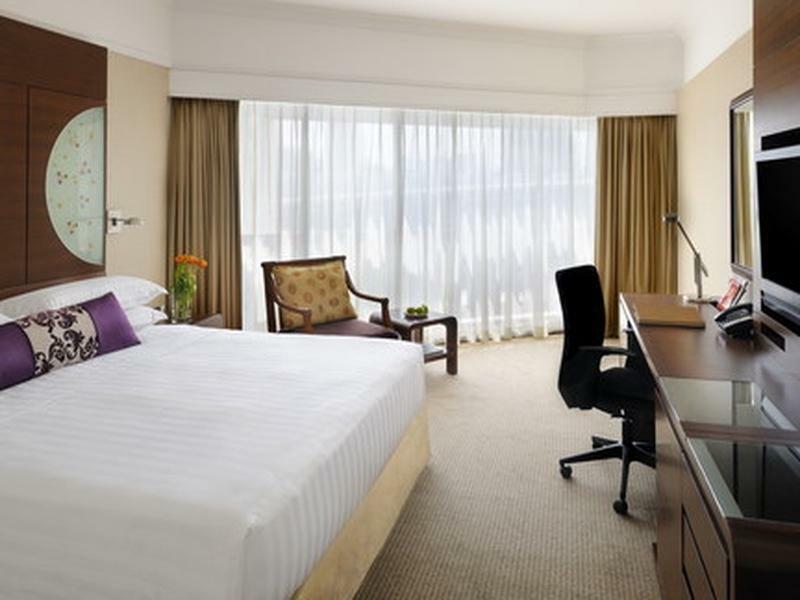 "Beautiful and spacious room with a beautiful view"
The hotel located in a very good location, easy access to/from airport. Travel made easy. Room is excellent and I had a great view of Singapore bay. We enjoy the trip very much also hotel staff is very helpful. It was a pleasant stay there. The hotel stuff was really good and helpful. The poolside is great enjoyed there. The breakfast was great. Would like to recommend that they add few more snacks options at the club lounge. Thanks for the hospitality. Will stay there again. Cheers. We booked here by mistake, confusing it with the Mandarin Oriental (almost same location, similar pictures) Overall we had a great stay. It's close to everything, access to the metro and restaurant (in a shopping center) directly from the hotel, convenient for your morning Starbucks fix. 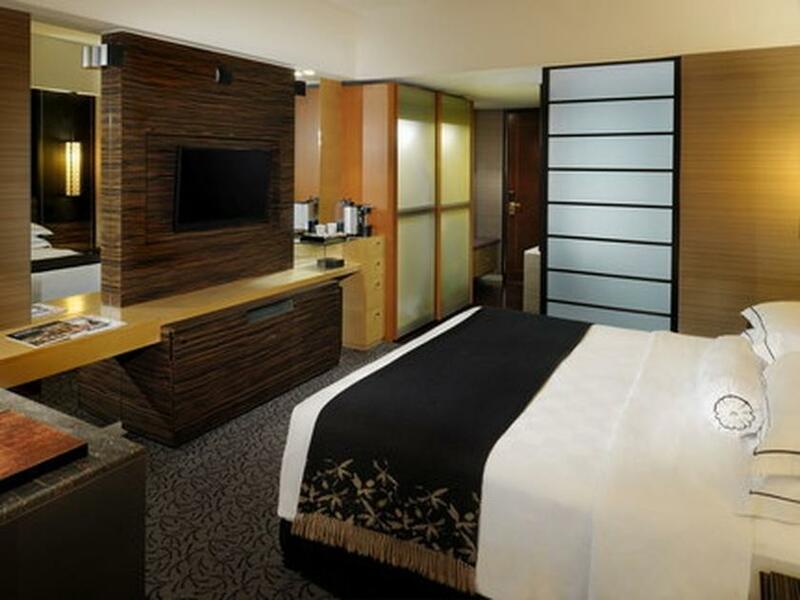 Rooms need some serious refurbishment as they look NOTHING like the rest of the hotel. very 90s. The balcony is totally unappealing. The pool section is nice but could use an upgrade as well. Gym facilities very sub par for this hotel category But I would return again for the right price. Very convenient location and excellent price. I like the arrangements that the hotel came up with for the New Year’s Day party. It created the atmosphere. But I hope both agoda and the hotel can work more closely as i was disappointed with the room that was offered. I came with the purpose to view fireworks but it turned out that I wasn’t able to initially. Fortunately, the reception was patient and managed to provide us a room later on. I think this can be clearly mentioned to us before the booking so that we can make better decisions and not at the point of arrival, causing much unnecessary unhappiness. We upgraded to the Meritus Club room and the service was superb! I informed the hotel via email that the staycation was for our honeymoon and they set up special decorations on our bed and sent us a complimentary bottle of champagne and a bowl of chocolate- coated strawberries. Location is awesome. Very convenient. Room is honestly on the smaller side for the price paid but that’s to be expected for city areas. Bed and pillows were comfortable. There were 2 of us with 3 kids. The room was spacious and clean. The pool was nice with a 2.5m deep end which I loved. Accessibility to MRT was very near. Connected to 3 different malls which was superb. I live the fact that the hotel was located in the city but away from the Orchard traffic. And parking was convenient as I used valet service which only costs S$10 per day multiple entry. My car was parked right up front of the main entrance. I stayed 2 night in Executive Delux room. The room is large enuogh and clean. I did not use breakfast but there are many restaurant in Marina Center connecting Hotel. Above all I enjoyed fantastic marina view all days I stayed. Stayed at the 16th floor and the room that we stayed have bedbugs, although after complaining the housekeeping acted swiftly and tried to attend to the matter however the problem was not resolve. The hotel is also undergoing refurbishment and it was stated that all renovation work will commence at 11am everyday but sadly for all 3 nights of our stay, the knocking and drilling started at 9am. Despite these, the staffs had provided excellent hospitality for check in, room arrangement, luggage handling and check out. 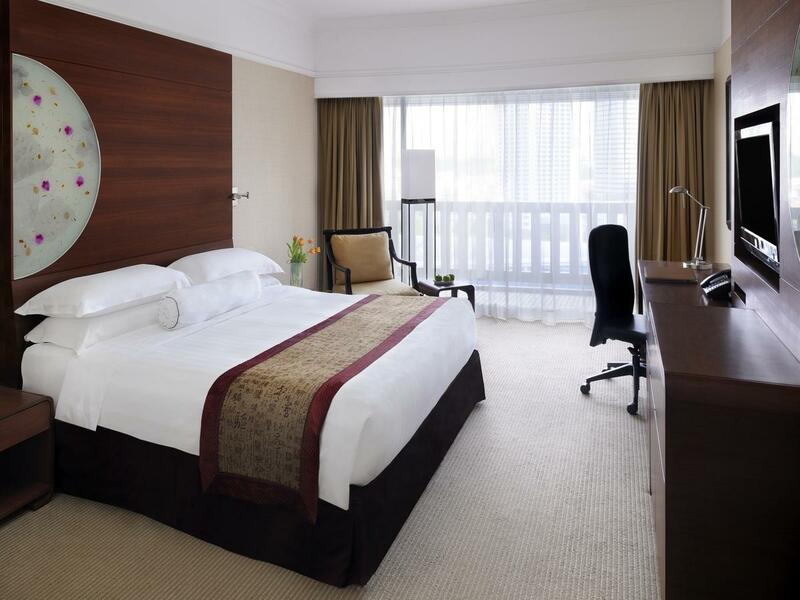 The hotel is well located within walking distance to the City Hall area. It is connected to the Marina Square shopping mall and can be linked to both the Esplanade and Promenade mrt station. Room is clean and staff are friendly. The only downside of my stay is the noisy traffic and party sound coming from the suntec water fountain area late into the night, as my room balcony is facing the Suntec Convention and Exhibition Centre where there are many night pubs in that area. But overall it is a great stay! Its a grand hotel, very well maintained. We stayed in Club Room on 20th floor with Marina View and what a view it was....MBS right in front, Gardens by Bay clearly visible and best part enjoy the complete Light & Sound show (at MBS) sitting in your room. Decent size room, good evening cocktails....breakfast spread was good, but not many vegetarian options....found the same curries repeated on both days and when we ordered dinner it was same curry.......overall very good hotel with multiple malls walking distance. Taxis at doorstep. Excellent stay with the best view of Marina in town. Staff is nice & friendly, such an enjoyment to be here overall, great location in city, shopping mall closeby, easy access to anywhere, & taxi is cheap when everywhere very close to; Except, the toilet, the shower cubicle side seem something wrong, without hot water, no matter how we set & wait for; how lucky still have hot water in bathtub side, because we only stay for 1 night, so we called housekeeping/service hotline to mark record at midnight, we do wish hotel must fix it for the next guest, except the embarrassing shower issue. Anyhow, we stay for only 1night, so far staying here, still a good choice. Actually staff is so helpful & friendly, & buffet breakfast is something cannot miss. Always held the Marina Mandarin highly in my mind, but was so so so disappointed. The room we got was insanely old, smelled of smoke and was just so so so old-fashioned. We chose to stay here because we wanted to have our anniversary dinner at Aquamarine. Wish we had booked a room elsewhere and gone back there after dinner instead of this old room. The staff were lovely though, they still provide a 5-star standard of service. And the breakfast range is so wide you can eat even lunch's worth of food. We booked Premier room with Marina Bay view and it was definetely worth it!!!! And this is why we choose this hotel. Breakfast is good. There are plentiful places to eat around till late and good to walk along Marina Bay area especially at night. This is a relatively classy hotel under the Meritus group. I was given a room on the 18th floor and had a beautiful view from the balcony. The room was spacious. Cleanliness could be improved as there was dust at some corners of the cabinets. The room probably need some refurbishments too, as some hinges and locks were loose/faulty. Nonetheless, the location of the hotel was fantastic and it is linked to the Marina Square mall and in close proximity (sheltered) to the train station.